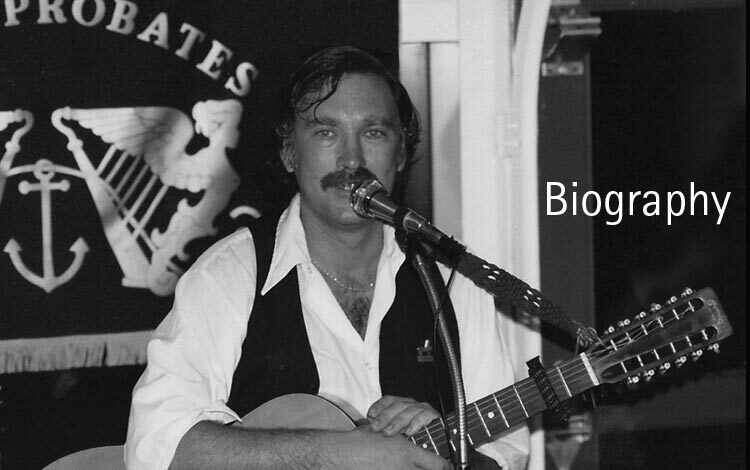 Jim McGrath has been performing original songs as well as sea chanteys, Irish and British Isles ballads, and American traditional and contemporary songs for more than 30 years. He has performed on ships and in concert halls and saloons in Ireland, Germany and across the Eastern Seaboard. The first thing you notice about Jim is the easy competence with which he delivers his songs. His rich baritone has been seasoned over the decades and like a fine wine - or whiskey - it is only now coming into its full flavor. The next thing you notice is that Jim never takes his eyes off his audience. He's constantly looking to make eye contact with you and bring you his direct vision of the subject of the song he's singing. A saloon singer extraordaire, evoking an almost forgotten era when the fellow playing and crooning in the corner of your local pub was the only (and best) entertainment you'd find. In these complicated and more noise-infused times, Jim stands out amid the karaoke, juke boxes, and HDTVs and flat-out enchants his audiences, whether long-time fans or new aquaintances. Three songs into a Jim McGrath set and you feel you've known him for years, and you want to know him and his musical stories even better. A song about a proud and unapologetic prohibition era rum- runner. From the cd titled: "Red Right Returning".